Imagine if it was possible to predict what marriages would last, and which ones would end up in divorce. That would be a huge stride forward, and that's exactly what John Gottman and his colleagues have been doing over the last few DECADES. Gottman and all claim that it is possible to observe couples for as little as fifteen minutes, and, based on that observation, predict with some amazing levels of accuracy, what relationships will last, and what relationships will fail. The claims, if true are astounding and meaningful. In this section you'll learn a lot more about the research, how it was done, its strengths and weaknesses. Does this research suggest what you can DO to make a marriage or relationship last? Yes, and no. The Yes part is that the researchers boiled down their findings into five "skills" that seemed to make all the difference. Partners use a ‘soft start-up’ to bring up an issue. Partners are open to their partner’s influence. Partners know how to make “repairs” after an upset. Partners honor one another’s dreams and aspirations. 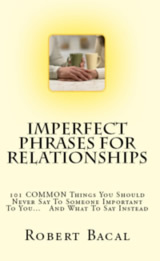 These may seem general, but as you'll find out they are associated with specific observable things couples do and say. That means that it's possible for you and your partner to learn some of the skills that are associated with long term marriage success. Gottman's work was about predicting relationships success, and not necessarily about finding out WHY some relationships work and don't work. It's a very subtle difference, because it's possible for something to predict something without it actually causing something. So, as you read through all the literature on the topic below, keep in mind that it may be harder to apply these findings than you'd think, and that they might not be "magic bullets". John Gottman and collegues claim great success at predicting which marriages will succeed OVER THE LONG HAUL, and which will fail, and can do so looking at only FIVE skills. Is this the holy grail for making marriages work? Find out here.